Today’s business environment is defined by change: steady, relentless change. Technologies evolve, industries consolidate, consumer expectations rise, electoral surprises trigger new risks. Disruption is the norm, and sticking to the status quo is a potential death knell. The ability to embrace and instill change quickly and effectively has become a core corporate competency. But in our experience, most organizations have not mastered the art of change. They lack the proper focus, dooming organizational shifts—both big and small—before they even begin. Take the BBC. Almost a decade ago, the broadcaster launched a major digital media initiative aimed at modernizing its production and archiving methods. Four years later, the effort was deemed a spectacular failure that resulted in the firing of the chief technology officer and a £100 million loss. An independent inquiry into what went wrong found the initiative lacked several factors essential to enabling successful change, including an effective governance structure, periodic reviews and reporting transparency. Perhaps most damning, however, was this finding: The BBC’s priorities for the initiative were focused on the new technology, rather than on enabling the organizational-wide change necessary to successfully implement it. The ability to embrace and instill change quickly and effectively has become a core corporate competency. But in our experience, most organizations have not mastered the art of change. 1. Make a coalition of change masters. Successful change is a product of intentional leadership. That is why the best change initiatives are led by a coalition of leadership aligned around a clear direction. These are the change masters—the people responsible for defining and connecting all commitments across the organization for a given change initiative. This team must create accountability around the change by clearly communicating what is required of every person associated with the undertaking. At the same time, this group must breathe life into the change and inspire everyone to produce breakthrough results. 2. Address implementation as part of the design process. Studies show that a majority of change initiatives and strategic plans fail to realize their full list of objectives. 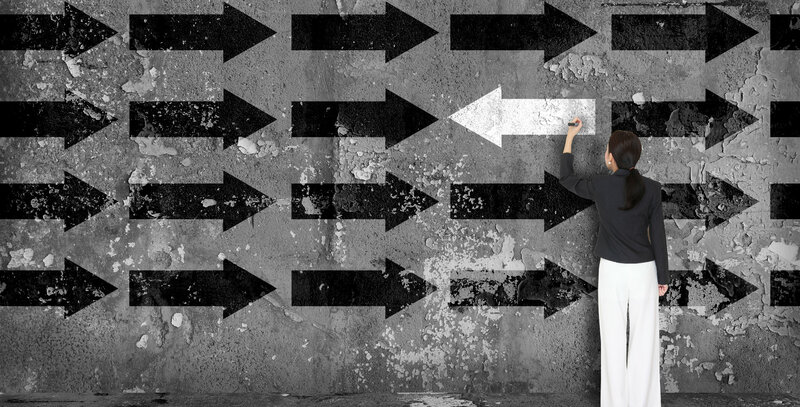 Where do leaders go wrong? Often, it is at the very beginning. Leaders often fail to bring the implementers—those whose job it is to execute the change—into the design process. Seeking their input could help arm your initiative against potential breakdowns—ones that only the in-the-trenches eyes of the implementers would be able to see. A failure to seek their input could cost your company dearly. At Insigniam, we previously worked with a Fortune 500 packaged goods company that had spent $100 million and 30 months implementing an enterprise resource planning (ERP) system. A team at the company’s headquarters designed the new process based on existing written protocols. But the design team failed to pull in the on-the-ground employees who would be using the new ERP system and were unaware of various workarounds that had been created to overcome challenges with those protocols. So the upshot was that the team leading the change initiative built on a foundation that lacked integrity. So the upshot was that the executive team leading the change initiative reinforced what was already not working. When the new ERP system went live—during the organization’s peak selling season, no less—several inventory and distribution issues emerged. As a result, the organization lost $120 million in revenue and saw a 27 percent drop in its stock price. But the impact went beyond financial losses: Relationships with customers were damaged, internal morale declined, and any interest employees might have had in participating in future change initiatives diminished. Who will be implementing the change strategy? How do they see the proposed changes at this time? What challenges will they be faced with in the implementation?? Designing an implementation plan for your initiative cannot be done in an ivory tower. Instead, it should be an empathetic journey that involves those who will be responsible for carrying out the change. 3. Break through barriers to change. Resistance to change is a challenge that keeps many business leaders up at night. According to Executive Perspective on Top Risks for 2018, a global survey by North Carolina State University, 61 percent of board directors and executives surveyed said resistance to change could have a significant impact on the organization’s ability to make necessary adjustments to the business model and core operations. It is a problem plaguing even the most imperative and high-profile of initiatives. For example, nearly three years ago, a scandal erupted around Volkswagen after it was revealed the German automaker cheated on pollution emissions tests. The company paid billions in fines, casting a cloud over the company’s once respected reputation. In the years since, Volkswagen has made many efforts to change its culture, decentralize power and become more transparent. Yet a report released in April from a U.S. court-ordered independent monitor found that change has been slowed by the company’s historically insular culture, as well as employees’ desire to protect themselves from blame. “The trouble is that no one wants to open up their work for criticism,” Hiltrud Werner, Volkswagen’s head of integrity and legal affairs, told Handelsblatt Global. In most cases, resistance to change is less blatant—and less publicized. Rather than actively resisting change, employees might be looking to control the change to best suit their needs. Employees often put in place unwritten rules, practices and protocols that help them maintain control over the things that affect their work in order to ensure success. But when change occurs and those unwritten rules, practices and protocols are threatened, employees often will look for ways to maintain control to ensure their success continues. Consider the example of a complex organization with multiple departments scattered around the globe, each with its own IT system and its own governance. As part of a major modernization effort, a goal was set to build one IT system. Representatives from the various departments were brought together to build this new centralized system, but each approached the build with the outlook of, “how can I make sure I keep control so I can get what I need?” Instead of building a system to meet the collective needs of the organization, the various departments tried to build a new IT system to meet their needs first and foremost. These employees are not outwardly rejecting the change. Instead, they are trying to build the new system in the frame of reference they are used to and with what they have learned they need to be successful. Breaking down barriers to change—whether they are active attempts at defiance or passive attempts to control the situation—starts with a strong communications plan. How is it relevant to me? Can I wait the change out? Is the change worth investing in? What will enacting this change take from me? Mr. Kotter recommends using every medium possible to work through these questions, drive home the vision for the change and remind employees of their desired behaviors. This amped up communications plan will help to override any preconceived notions that employees might have about the stated vision. We never are empty vessels for what each other has to say; messages always are filtered through a set of assumptions and interpretations. For example, rather than focusing on the change at hand, employees might instead think of it in terms of the last change initiative they were a part of and how they were affected by it and survived it. The communications plan can also help leaders fight the rumor mill, which can incorrectly shape how a change is perceived. Change leaders must be more present, more active, more relevant, more interesting and more informative than the rumor mill. 4. Organize the change around breakthrough thinking or breakthrough results. When Satya Nadella ascended to the role of CEO at Microsoft in 2014, the company had stagnated. The business model centered on the plateauing personal computing market, and the organization was still smarting from a couple of high-profile missteps, including the $7.2 billion purchase of Nokia, which was ultimately deemed a complete waste. The reorganization exemplifies the need for leaders to embrace breakthroughs when leading change. Over 30 years ago, Insigniam pioneered the field of breakthrough and transformation, we define breakthroughs as a specific, measurable result, outcome or performance that is unprecedented or unlikely given an organization’s history, resources and the environment in which it is operating. Breakthroughs fundamentally alter what is possible: They open up new opportunities for the company’s future. They deliver results without sacrificing quality, integrity or well-being. They are the product of people thinking in new ways and acting differently, thereby opening and executing on a new field of opportunity. If you want to drive change that is truly going to be different, it must be organized around a breakthrough—otherwise, people will approach the change as if they are fixing from the past rather than inventing from the future. If the change is not designed around a breakthrough, your people will simply stay inside of their current box. They will not give up the things they know that work. They will not bring innovative new thinking. 5. Actively manage and engage the network of constituencies touched by the change. All organizations are made up of a network of constituencies. These groups, also known as stakeholders, all have their own commitments and concerns. To drive successful change, you must enroll every constituency—be it the IT department, human resources, middle management or line employees—in the organization toward the common mission of your initiative. They must be given a seat at the table. You must engage and empower them to take ownership of the change. Remember: People support what they help create. It is important to avoid thinking of these five success factors as a linear process or a list of requirements that you can simply check off and move past. While no one factor is more important than another, each factor does influence the others. For example, the way you engage leaders affects how you engage constituencies. And, at the same time, the nature of the constituencies in your organization helps determine the shape of your leadership. Together, these five factors comprise a change-making system. You cannot pick and choose certain components to focus on: They are all of one strategic piece. Change initiatives that address all of these factors are built upon fertile ground. Shideh Sedgh Bina and Nathan Owen Rosenberg Sr. are founding partners of Insigniam.